John Force said to the Boston Herald this week that Don Schumacher is out to ruin him. However, in the final round, it was the legend, who took out a DSR driver. 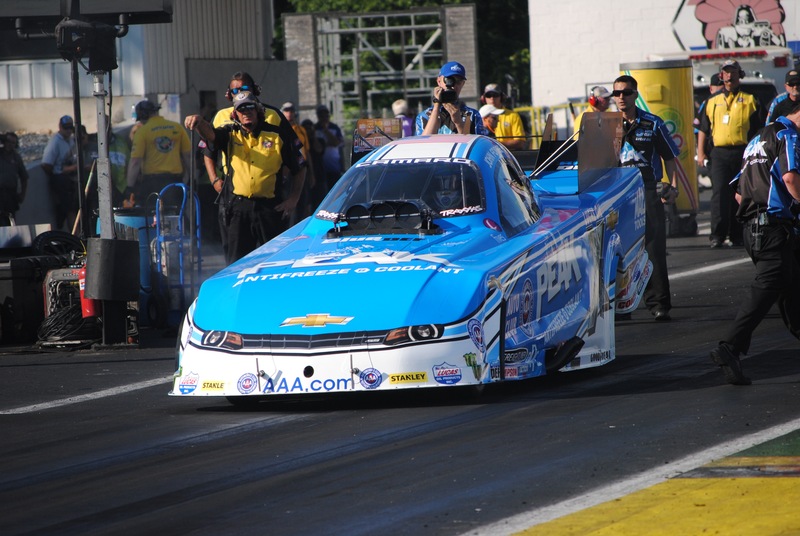 Force, the Peak Anti-Freeze driver, won the NHRA New England Nationals for the first time. He defeated Tommy Johnson Jr. in his Make-A-Wish Funny Car. Force went 4.16 to Johnson Jr.’s 4.19. This is Force’s second win this season after previously winning in Las Vegas. This is Force’s a 143rd career win. In the winner’s circle, Don Schumacher came over and gave Force a hug. This was the second final round for the legend in the past three events. Last weekend at the Toyota NHRA Summernationals at Old Bridge Township Raceway Park, Force was eliminated in the first round to Matt Hagan, who would go on to win the event. At the NHRA Kansas Nationals, Force lost to DSR Infinite Hero driver Jack Beckman.